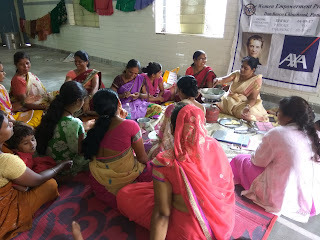 Pune (Chinchwad), 9th September 2017: The Don Bosco Development Society (DBDS), Chinchwad organized 5 days training workshop on making ‘Diwali Sweets’ from 4th to 9th September 2017 for the women Self-help Group (SHG) members from Dattanagar slum in Chinchwad (Pune). 20 women successfully completed the entire training module. 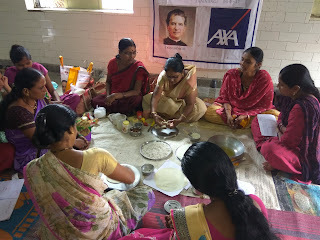 This training programme was held under the aegis of ‘Women Empowerment Project’ supported by AXA Business Services Pvt Ltd.
Sweets play an important role in Diwali. Sweets are exchanged among households to celebrate Diwali. 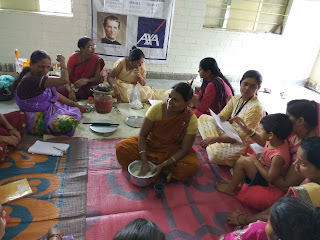 The purpose of this training was to help women in learning how to make Diwali sweets and sell them in their neighbourhood. Mrs. Uma Dhotre, Mrs. Rajani Atarrde from Kasturba Mahila Khadi Gramodyog Vidyalaya, Pune were the resource persons for the entire training programme. 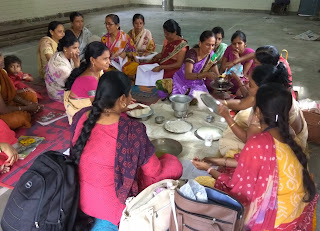 Over a period of full 5 days, the women were taught different types of products: Karnji, Balushahi, shankarpale, shev, Raghavdas Ladu, chakali, kaju katali, Masala Puri, Chirote, etc. The trainers also shared their experience on selling the sweets in neighbourhood. Mrs. Vrushali Unhale (DBDS-Staff) mobilized women to participate in this training programme. 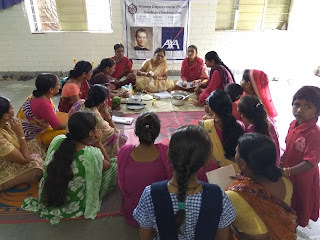 Mrs Lalita Choudhary (DBDS - Project Co-ordinator) coordinated the programme with the Kasturba Mahila Khadi Gramodyog Vidyalaya, Pune.